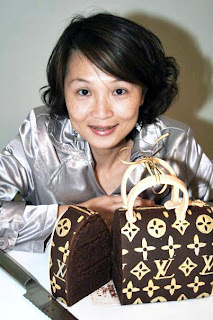 Pictured here is Jeannie, the gorgeous birthday girl with her LV Speedy 25 Cake. The husband of one of my most favourite customers Jeannie requested that I make a Louis Vuitton Handbag cake to celebrate Jeannies Birthday. LOTS of fun and very well received! A Chocolate Mud Cake with Dark Chocolate Ganache, covered with chocolate fondant and edible gold painted zips and accessories. 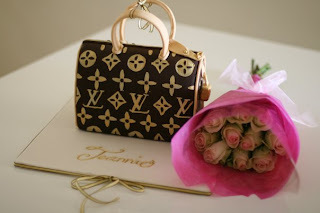 Are you kidding ...is that a real cake cause it looks to me like a real bag , fantastic ! This is beyond beautiful...it's out of this world gorgeous! fantastic work how I can learn to decorate cakes stay in Greece .Perfect perfect!!!!!!! These boots are made of sheepskin and of unisex variety. babyliss pro flat iron Ugg boots take place to appear to be utilized inside the countryside regions of Arctic Circle and China. They take place to appear to be critically normal shoes between the sheep shearers as they certainly not ran besides its resource. Yamaha Fairings The sheepskin made it at ease and protected them from chilly surroundings when engaged in outside activities. Onitsuka Tiger Shoes The Ugg boots made a gradual escape within your path using the mainstream.